Ohhh, LeBron you are smart. LeBron James is very smart. 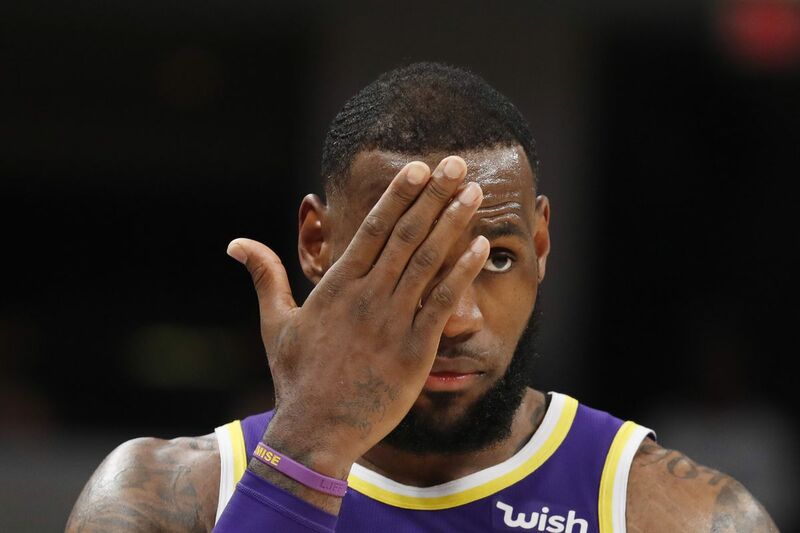 In the first-ever live NBA All-Star Game Draft, The King selected almost every major player who has been connected to playing with him in Los Angeles. James picked Kevin Durant first, Kyrie Irving second, Kawhi Leonard third, Anthony Davis fifth and Klay Thompson sixth. The Lakers offered every player not names James to the Pelicans for Davis leading up to the trade deadline. Durant, Irving, Leonard and Thompson will each be unrestricted free agents free to sign with any team this summer. That’s a chess move if we’ve ever seen one. First, he says there’s no such thing as tampering on All-Star Weekend. Then, he makes sure he has everyone he might want to recruit to the Lakers on his team for the All-Star Game. For what it’s worth, Giannis Antetokounmpo also put together a solid team. He’s got Joel Embiid, Paul George, Stephen Curry and Kemba Walker as his starters. Then Giannis traded Ben Simmons for Russell Westbrook, potentially putting two of the most petty NBA players (Russ and Embiid) on the same All-Star roster. LeBron’s gotta pick KD first, right? Giannis already said he’s going Steph first. Did Giannis just say he's taking Khris Middleton with the first pick of the reserve round? Team Giannis about to get smoked by 50. Five minutes later Of course it’s a commercial break. I knew they were gonna drag this draft. Can't just give the people what they want. He said he was gonna do this. LeBron is doing this right, man. FIRST-TIME ALL-STAR D’ANGELO RUSSELL IN THE HOUSE YOU HEARD! Giannis is getting all the tall guys and all the Euros. Predictable. They just swapped Ben Simmons for Russell Westbrook. Now LeBron and Ben are on the same team, and so are Joel and Russ. The Utah Jazz need another alpha Donovan Mitchell needs offensive help in the worst way for Utah to take the next step. Blake Griffin’s season deserves a better ending than this Detroit is about to get embarrassed out of the playoffs, with its star hobbling. That’s not the ending either deserves. Here’s how Kyler Murray could fall out of the top 10 Retired NFL lineman Geoff Schwartz isn’t saying Murray WILL drop. But if he does, this is how things could play out. The Warriors are getting a wake up call from the Clippers. Will they adjust? The Golden State Warriors got a wake up call from the Los Angeles Clippers. Will they make the adjustments or did LA provide the blueprint for a potential early playoff exit for Golden State? The only explanation for this James Harden flop was that he was punched in the throat by a ghost The truth is out there.